How can you treat dehydration? 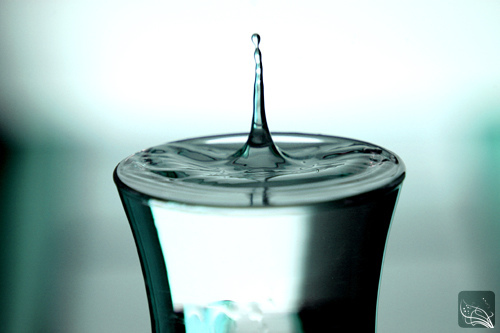 Generally, our bodies are hydrated when our body water is at normal levels. A normal body water level is 60% of body weight. 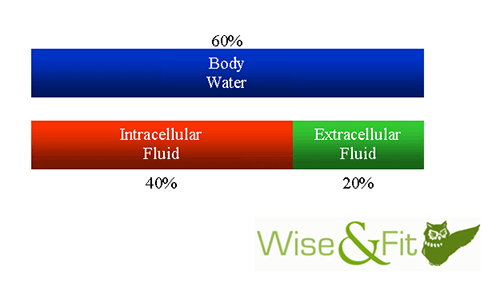 Of that body water, 2/3 is Intracellular Fluid (body water within cell membrane) and 1/3 is Extracellular Fluid (body water outside of cell membrane: blood, interstitial fluid, etc). Go any further than 15% of body water loss, and the situation becomes life-threatening. It is at this point that dehydration gets its reputation for being fatal. What most people do not know is that there are actually three different types of dehydration. Each of these types has very different causes and treatments. This is the most common type of dehydration as it occurs in about 80% of cases. 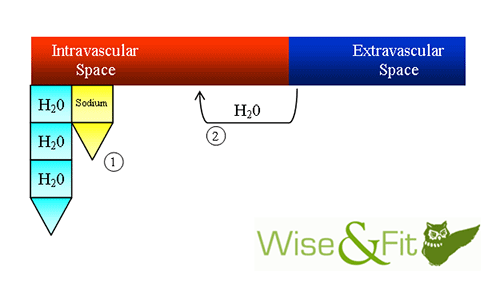 Isonatremic dehydration is when the loss of water and sodium (electrolyte) are relative in magnitude for both the Intravascular and Extravascular systems. Mild-Moderate: Slow and steady rehydration of water or electrolyte solution. This type of dehydration is much less common (5-10% of cases), but much more severe. Hyponatremic dehydration is an electrolyte imbalance in that more salt is lost in relation to water. 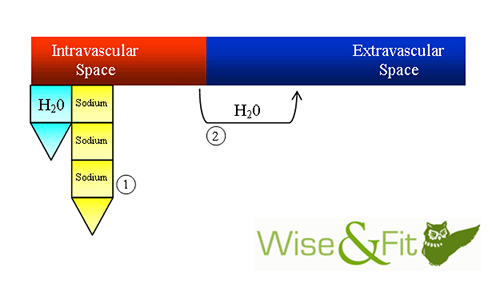 Fluid then transfers from the Intravascular space to the Extravascular space in attempt to balance the salt loss. However, this only accentuates the problem because there is now a great imbalance between the Intravascular and Extravascular spaces. Because this is such a difficult problem to treat, a professional must treat the victim. Similar to hypernatremic dehydration, this type is less common (5-10% of cases), but very severe. Hypernatremic dehydration is an electrolyte imbalance in that more water is lost in relation to salt. 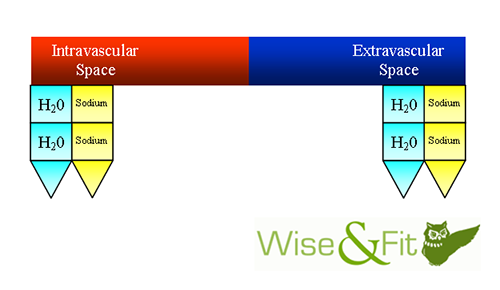 Fluid then transfers from the Extravascular space to the Intravascular space in effort to dilute and balance the highly salt-concentrated Intravascular space. The result is an overcorrection and swelling of the Intravascular space. The best and easiest way to treat dehydration is by preventing it altogether. This is as simple as drinking water when you’re thirsty. And for high-activity situations, such as sports or exercising, a slow and steady flow of water or an electrolyte drink is best. Remember: Hydration is essential for any organ or muscle to function, so stay hydrated! future research. Thanks a lot!